Join Millington Arts, Recreation & Parks for Brunch with Mrs. Claus on Saturday December 1st from 10:00 AM - 12:00 PM at Baker Community Center. 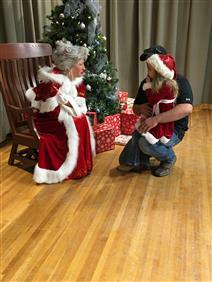 We will have brunch, take home crafts, pictures with Mrs. Claus, and you can even see some of Santa's elves! For additional information call 901.873.5770!